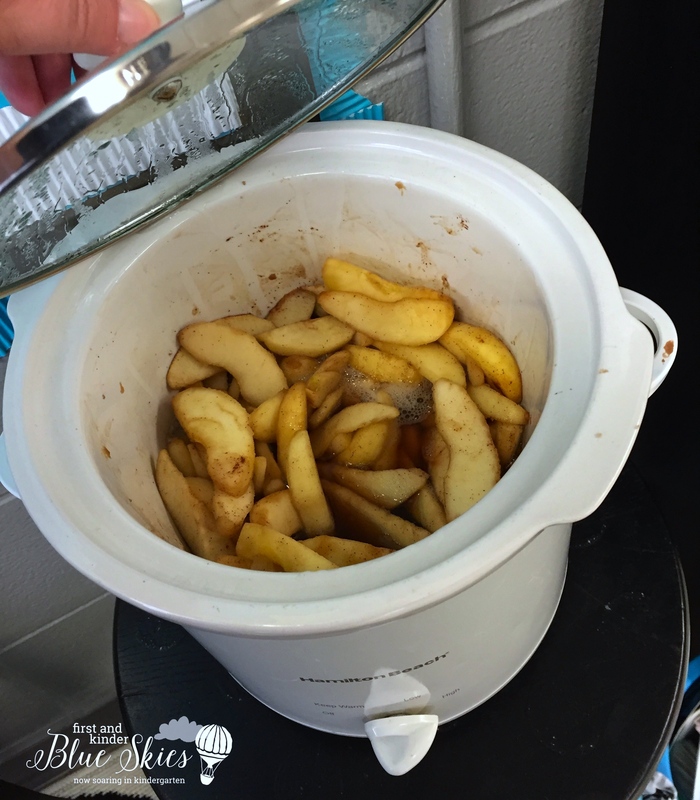 Apple Unit and Crockpot Applesauce Recipe: This week was all about apples. 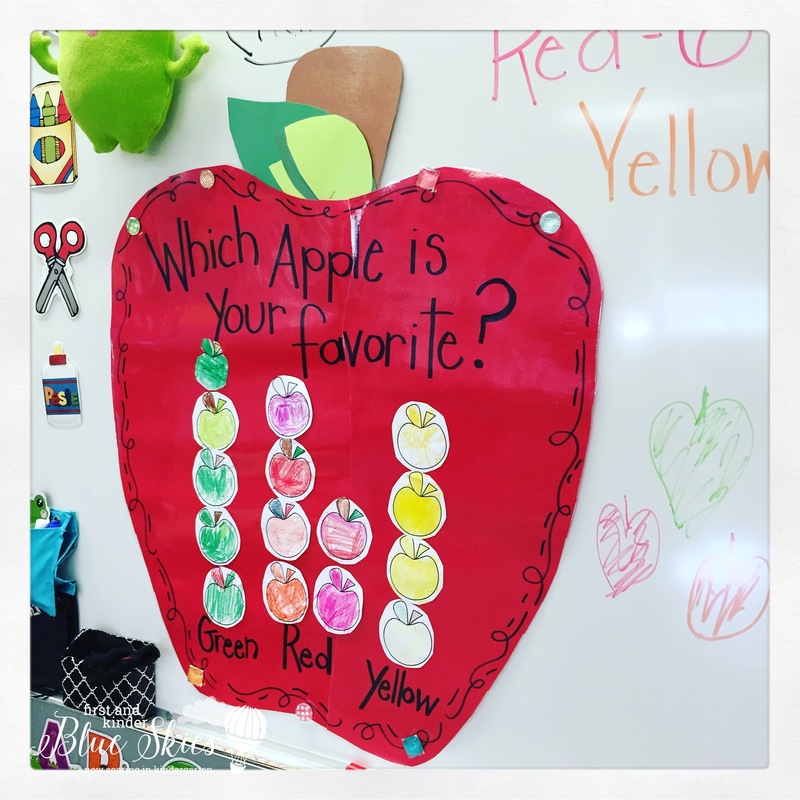 My kinders had a blast learning about the apple life cycle, non-fiction and fiction books, and taste testing. 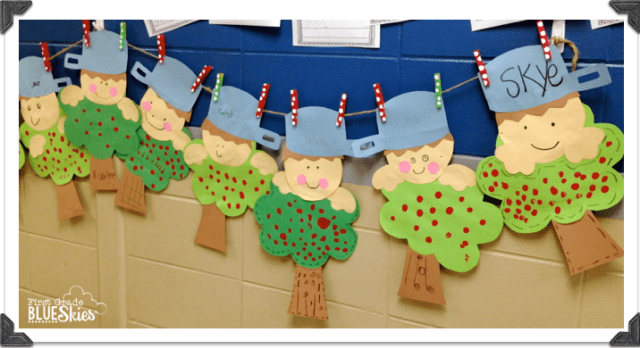 The above craft and Johnny Appleseed are from my Apple Pack on Teacher Pay Teachers. We also made homemade applesauce in a crockpot. Some years it turns out more like spiced apples (usually when I don’t chop the apples into cubes). Either way, it’s always delicious! 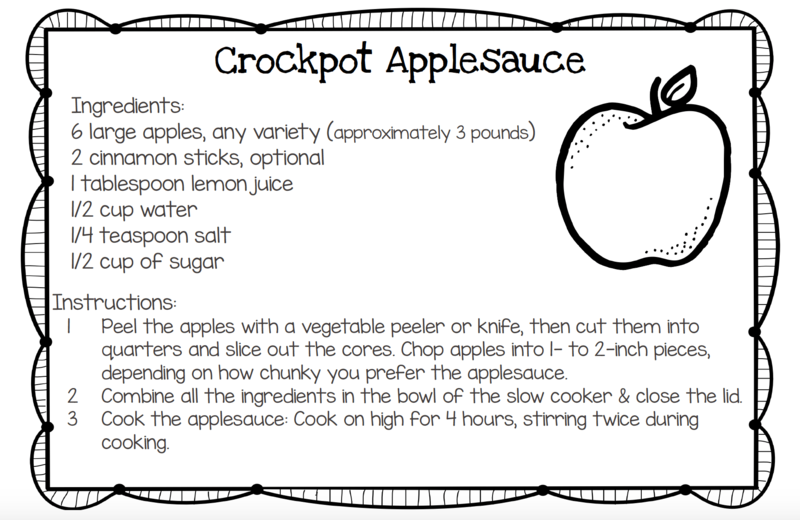 You can find the crockpot applesauce recipe on Google Drive. I also have this taste test response sheet on Google Drive. 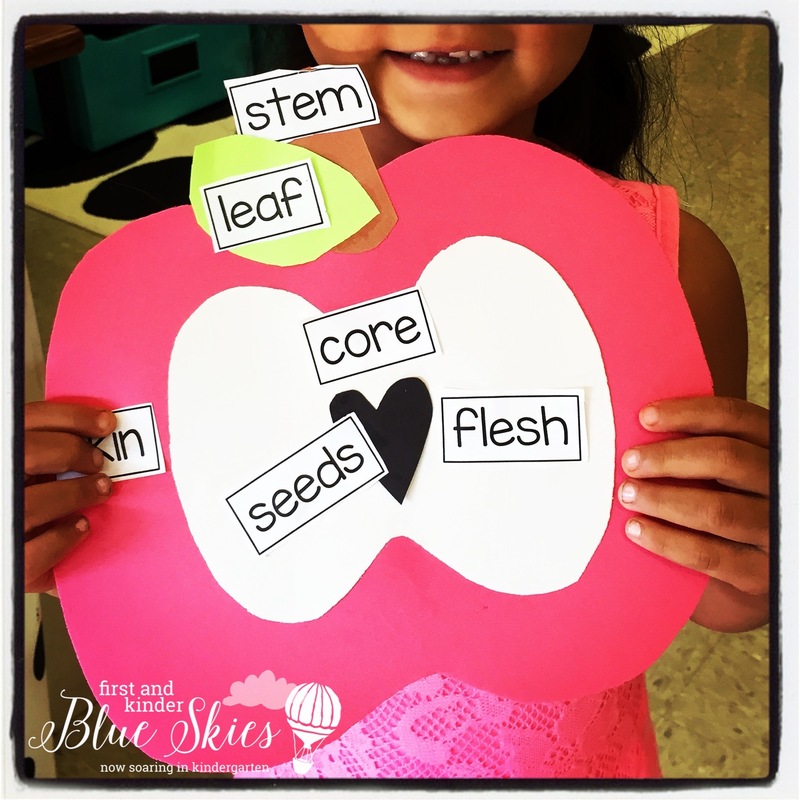 Such a fun activity! I love this Johnny Appleseed Directed drawing which can be found in my year-long bundle HERE and also in the September pack HERE. These desk buddies are in my apple pack, just staple them to mini cups. Hi! 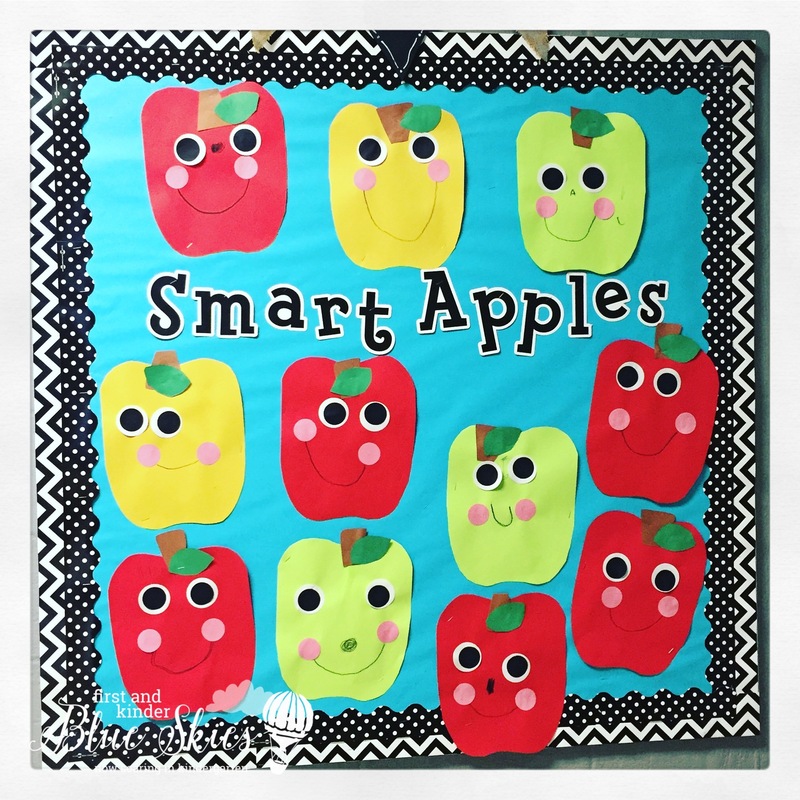 Wonderful apple activities…wondering if the apple labeling craftivity is available? 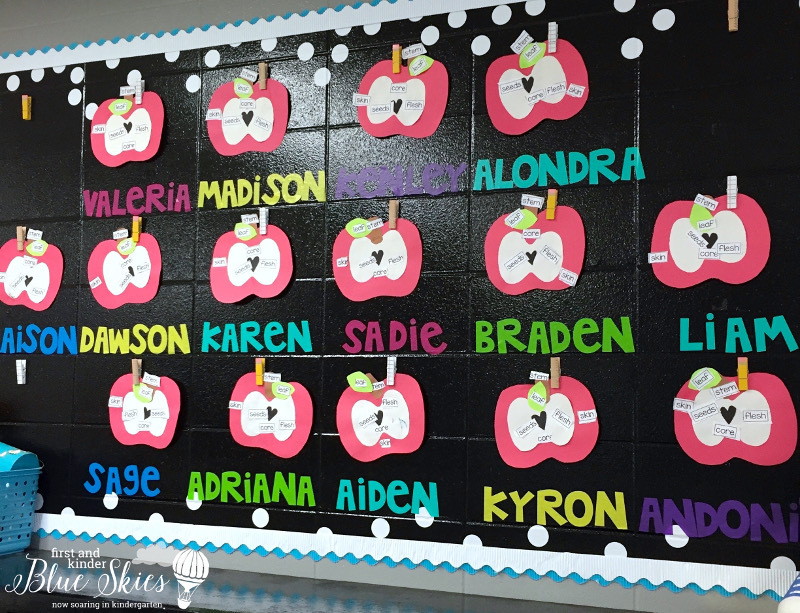 Applesauce is always a fun activity…the kinders love chopping apples! Thanks for the post! The student form says there is sugar in the applesauce and doesn’t list salt. The recipe says to add salt, but nothing about sugar. Am I missing something? Thank you. 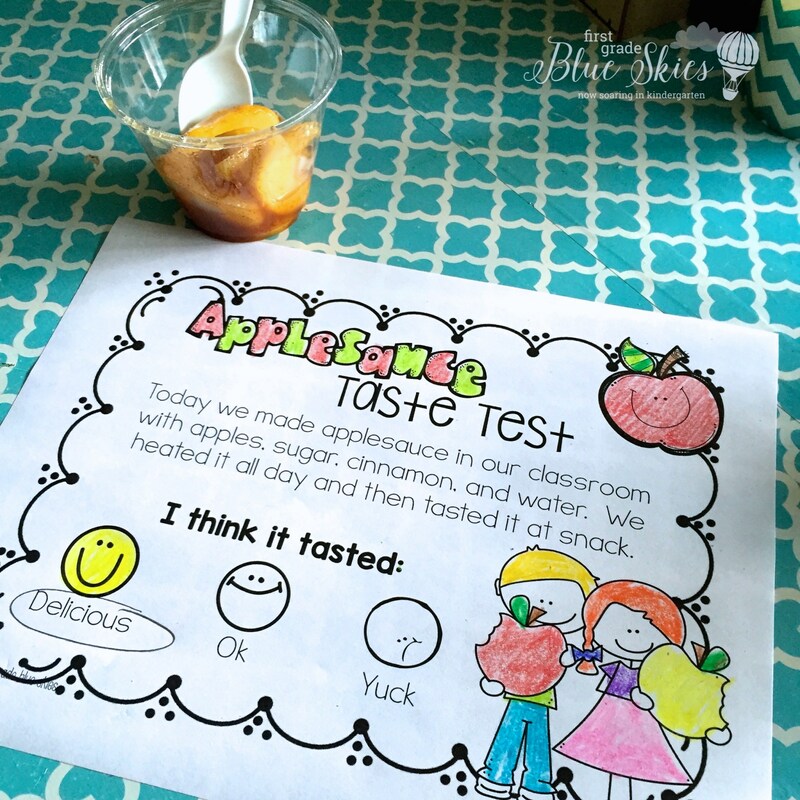 These pictures are so cute and the center of attraction is that applesauce recipe, I am sure mothers are going to try this at home for their kids. Does your TPT pack include the directed drawing? 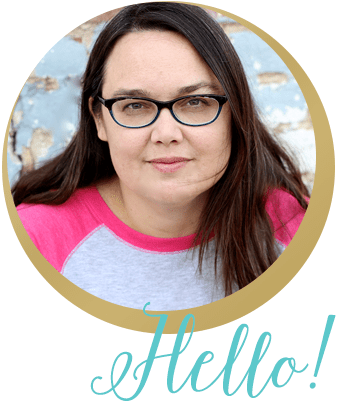 I love your bright names. How did you attach them to the wall, and is there a special template you used? Thanks!